Fastest Computer repair in tampa. Usually within 24-48 hours. Flat rate computer repair, No hidden costs. Computer repair at a better price than Geek squad. We can do any computer repair & get you a solution fast. Read more on our "About Us" page. Computer Doctors can provide you computer repair anywhere in the world. With our remote or virtual services we can repair computer problems without you ever having to bring your computer in for repair. Computer Doctors can do any computer repair. Fastest computer repair in Tampa. Computer Doctors are the virus computer repair experts. Computer Doctors knows proper dust cleaning prevents many costly computer repairs. Computer Doctors provides excellent data recovery. Partnering with the best in the industry we are able to back up data that others can't at a more affordable price and get your computer repair fast. Computer Doctors throws out the book on data backups. No longer are they time consuming or costly. 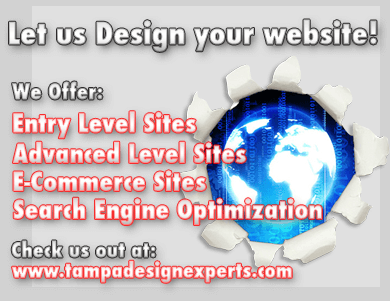 Let us show you the newest & best systems out there that will save you $$$ and time. Computer Doctors live in the digital age. Let us help you get there too. Servers are not only for businesses anymore. We can help you back up every computer in your home and automatically host your own website, iTunes server or movie server. Computer Doctors can build any computer you can imagine. Whether you want the bad-est gaming system, the fastest home computer or worlds of power at your fingertips. Computer Doctors makes the best custom machines at the best prices. Computer Doctors knows the proper techniques to prevent expensive surge computer repair. Every family can use their own personal website to host pictures organize a calendar or have a home based business. Computer Doctors Home based websites are the perfect solution for any family. Another computer company tell you a computer is too expensive to repair? Bring it to Computer Doctors, Computer Doctors can do repairs many stores are afraid to do. Computer Doctors does printer repair, maintenance & service contracts at an affordable price. Most computer disasters can be prevented with regular maintenance. Sign up for our service reminders & have the peace of mind that most major disasters can be adverted. Computer Doctors is dedicated to the going green movement. Ask for Green only parts, & learn about the many green services offered. When approximate completion times aren't enough Computer Doctors Provides emergency services to get your computer in & repaired fast. Red Carpet service provides the extra mile that is sometimes needed to make sure your computer is set up just the way you want. Computer Doctors can teach you anything you want to know about computers or software. One on one training with patient teachers on any software. Software or equipment not installing? Computer Doctors can help you with the many ins and outs of making your software work for you. Is your computer under warranty but you don't know how to get it done or don't want to spend & an hour on the phone with a foreign based tech support? Computer Doctors handles warranty repairs with Dell, HP, Compaq, Gateway, Emachines, Toshiba, IBM, Lenovo, Acer, Averatec, Alienware, Asus, Msi, Western Digital & many more. 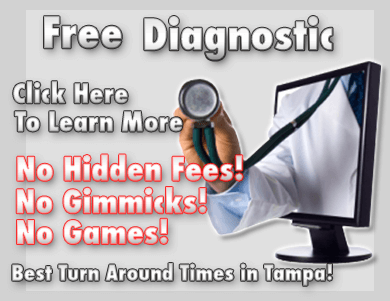 Remember diagnostics are always free, so trust that computer Doctors will be there for all your Computer repair & service needs. Click the above link to see the extensive list of partners we have & the brands Computer Doctors services.